Coming off of Tasseomancy member Romi Lightman's recent acting gig, she and her sister Sari have announced that they're set to release their next album. 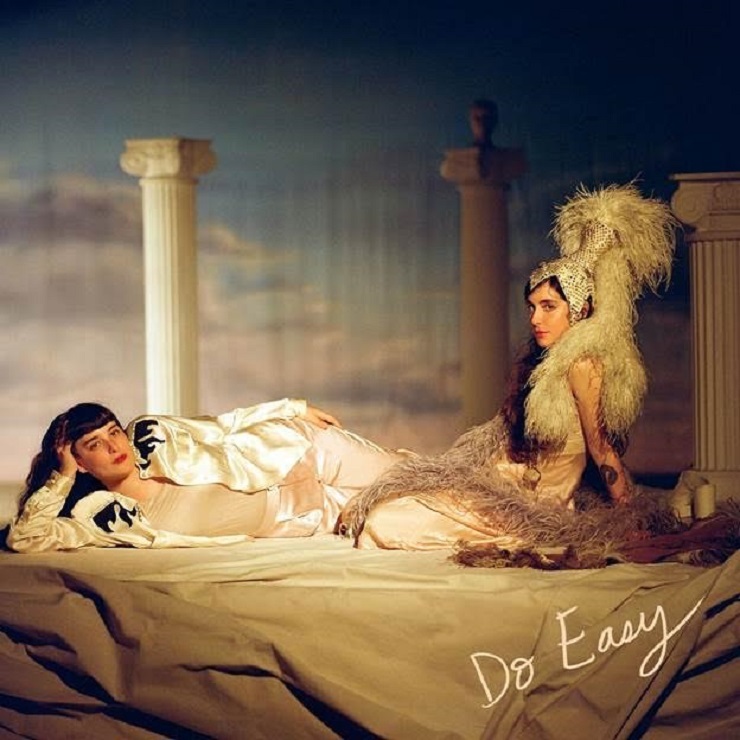 Titled Do Easy, the group's third full-length release is due November 18 through Outside/Hand Drawn Dracula. A press release explains that the new album was written in Toronto and Montreal, and created "as a lamp shade of hope." The Lightman sisters are joined on the recordings by fellow band members Johnny Spence (synth/piano) and Evan Cartwright (drums). Additional performances come from alto-sax player Brodie West, flautist Ryan Driver, Blue Hawaii's Alex Cowan and Simone Schmidt, who apparently adds the "voice of a young Neil Young" to the record's "Dead Can Dance & Neil Young." Romi Lightman said in a statement that the collection's title track was partially inspired by "karaoke soirees and the domestic manifesto of William S. Burroughs's The Discipline of Do Easy." Burroughs's doctrine on finding 'the easy way' struck me as something rare and I hung onto it like a piece of protection. Later on, I discovered that Genesis P-Orridge believed this text to be one of the greatest magic techniques for retraining the mind. Endorsed by Occultists, stoners, freaks, the ultra zen and the highly sensitive, Do Easy attempts to infuse the mundane with a gentle joy and a sense of simple delight. You'll find a stream of the soft pop-styled, Burroughs-sampling Do Easy title track down below, where you'll also find the tracklisting details to the LP.